SharePoint, Class Notebook and Teams forms the foundation for curriculum delivery at The Cornerstone Academy Trust. Hearing stories about how other schools and academies are thriving with Office 365 and SharePoint is a great way to feel inspired. Our new podcast series focuses on real-life user adoption cases and aims to encourage a community resource for those who are interested in how Microsoft can help you, and your pupils, achieve more. In our third episode, Tony Phillips, Cloud Design Box Founder and Darren Hemming, our Operations Manager, spoke with Jonathan Bishop, CEO of The Cornerstone Academy Trust. The headteacher – who has been teaching for the past 25 years – offers some real insight into the way Office 365 and SharePoint can be embraced in and outside of the classroom. “Office 365, SharePoint and – in particular – Class Notebook, has had a huge impact on our Trust. 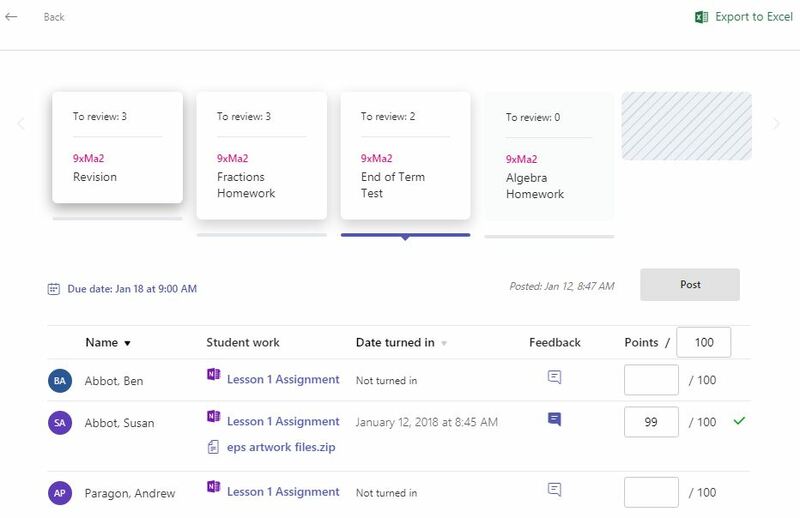 OneNote totally underpins our lesson planning, teaching and student engagement – before, during and after lessons,” Jonathan enthuses. The Cornerstone Academy Trust is a multi-academy trust that currently covers Broadclyst Community Primary School, Westclyst Community Primary School and The Cornerstone Teaching School. Supporting children from the age of two through to 11, the Trust places technology firmly at the helm of the school ethos. “We have invested in a number of Surface Pro tablets so that our students can access learning resources from wherever they are in the school or at home,” he tells us. All learning resources are available at the child’s fingertips, while teachers can work together and prepare valuable learning materials for students. Permissions and roles can be set with ease for each resource. For example, teacher content is read-only and cannot be edited by pupils, while personal pupil areas can only be accessed by the individual and their teacher. 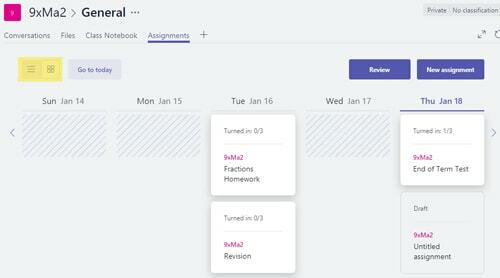 More recently, Cloud Design Box has worked with the Trust to integrate Class Notebook with the communications tool Microsoft Teams. “Teams has built on the strong system we already had in place. It’s added an extra layer of support to our teaching and learning,” Jonathan reveals. In fact, Jonathan is very passionate about how digital tools like SharePoint and Office 365 equip pupils with the skills needed for future employment. Currently, there is a debate about whether or not we are losing traditional skills, such as handwriting and literacy, but Jonathan argues that tablets and technology are complementing education. Digital is enhancing the classroom. SharePoint is a solid foundation for curriculum delivery. Collaboration tools empower students to develop skills for their futures. This entry was posted in Assignments, Class Notebook, Microsoft Classroom, Microsoft Teams, Microsoft Teams for Education, Office 365, OneDrive, OneDrive for business, OneNote, SharePoint in Education, SharePoint News, SharePoint Online, Tony Phillips, Uncategorized, User Adoption, User Adoption in Education and tagged Academies, Academy Trust, Assignments, CEO, Class Notebook, Cloud Design Box, Digital Strategy, Education, Headteacher, Hull, Leadership, Microsoft Teams for education, Notebook, Office 365, Podcast, SharePoint, SharePoint Tony, Teachers, Teams, Tony Phillips SharePoint, Trust Board on March 29, 2019 by Tony Phillips. Releasing organisational and team communication via SharePoint news articles is a powerful way to connect with colleagues. 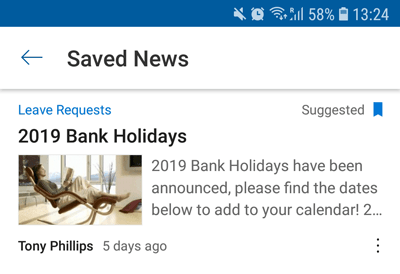 News articles in SharePoint appear aggregated on the SharePoint home page and get pushed out to the mobile app via notification. They render great in both experiences. Many users have reported that they are happy with the editing interface. Using the same intuitive page editing experience as standard SharePoint pages, news articles are easy to adopt in any organisation. In addition to creating news pages, users can now share links to external news stories. SharePoint intelligently extracts images and text from the external source, all the end user needs to do is provide a link to the external article. Sharing external news will make users aware of an external article without the creator having to manually recreate or copy and paste the story. Did you know that you can now save news articles to read later? I’ve not had this request from any end-users but seems useful if you find an article that is interesting, but you are in a rush. This can be done via the mobile app by clicking the bookmark icon or from the SharePoint home page. There are some exciting updates coming to SharePoint news in 2019. When I speak to people, I often get asked about targeting news stories to groups of people. My response is that the news article should be added to a SharePoint site which only the correct users have access to. This is a bit of a workaround but not for long! Audience targeting based on groups or individuals is coming early next year to make news even more powerful. It will help owners target news while having a central repository for news. News comments have not been particularly useful as users often don’t return to see new comments. This is set to improve too over the coming months. Users will be able to use @ to mention other people in the organisation. With intelligent auto-complete, it will really be easy to mention other people and get them involved in the conversation. Mentions will automatically trigger notifications or reminder emails, meaning that comments are not missed again. We will provide some video tutorials as soon as the new functionality is available! If you have your own ideas to improve SharePoint news, we would like to hear from you. Comment below and add your ideas to the SharePoint user voice page. With your feedback, Microsoft can see what end-users really want. This entry was posted in Business, Education News, Office 365, SharePoint News, SharePoint News Articles, SharePoint Online, SharePoint Online Permissions, Tony Phillips, Uncategorized and tagged Articles, audiencing, Coming soon, Comments, Mentions, Office 365, Publish, Save, SharePoint, SharePoint News, target news on November 29, 2018 by Tony Phillips. Microsoft Forms are a great way to quickly gather survey results or produce quizzes. 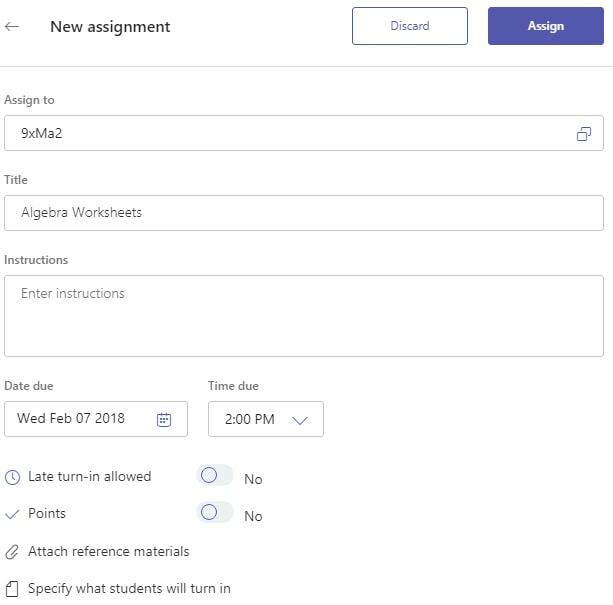 It could be testing employees on health and safety in OneNote or it could be setting students a topic quiz in Class Notebook. In this post, I’m going to go through the steps on how to add a quiz to OneNote. First, create a new page and call it “Quiz”. Go to the insert tab in the ribbon and select “Forms”. Here you will see a list of any forms and quizzes that you previously created in addition to the new options. Microsoft Forms will open in a new tab, give the quiz a title and description. Click “Add question” and select “Choice”. Enter a question and all the options, you can press “Add option” to add more answer options. Next to each answer option, you can provide some feedback for users who select this option using the speech bubble icon (see highlighted below). Mark the correct answer by selecting the tick icon (see highlighted below). At the bottom of the question, you can assign points for the correct answer, allow multiple answers and make it a required question. 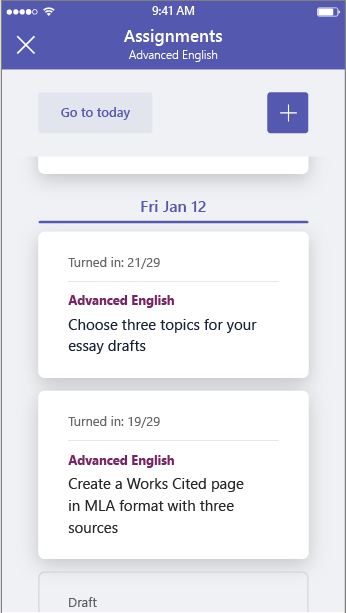 By pressing the menu (…), you can bring up more options such as shuffling the answers or writing math equations. You can add more questions by clicking “Add question”. The form will save automatically as you edit it (no save button). 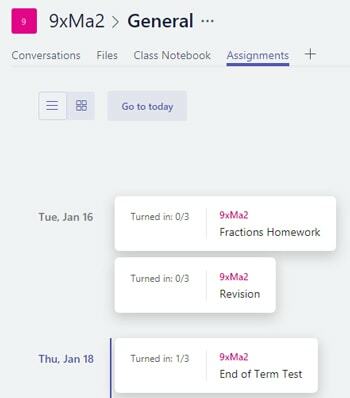 When you have finished creating your quiz, switch the browser tab back to the OneNote file, you will see that the quiz has now appeared in the “My forms” list. Our quiz is now embedded on the page! When users complete the quiz, they will see their points after pressing submit (with feedback on each question). The author of the quiz can go back into “Microsoft Forms” via the app launcher (see highlighted below). They can then see a detailed breakdown of the results with the option to export to Excel. Microsoft Forms can also be added to SharePoint pages, so you can enhance your intranet with surveys and quizzes! Microsoft Forms is a great tool in the Office 365 package. By using this tool in your organisation, you could really improve engagement with users. At Cloud Design Box, our solutions help schools and companies get the best out of SharePoint, Teams and OneNote. More information on our education and business solutions can be found on our website. This entry was posted in Assignments, Class Notebook, Education News, Microsoft Classroom, Microsoft Forms, Microsoft Teams for Education, Modern Experience, Office 365, OneNote, School Data Sync, SharePoint in Education, SharePoint News, Teacher Guide, Tony Phillips, Uncategorized and tagged Assignment, Class Notebook, Cloud Design Box, Codnor, Education, Employees, Forms, Hull, Marking, Microsoft Forms, Multi-choice, Nottingham, OneNote, Pupils, Quiz, SharePoint, SharePoint Consultancy, SharePoint Tony, Staff, Students, Survey, Teaching, Teams, Tony, Tony is here, Tony Phillips, tony phillips derby, Tony Phillips Hull, Tony Phillips SharePoint, UK on February 16, 2018 by Tony Phillips. The future of SharePoint event took place last night live from San Francisco. It was a live online event open to all which was watched by thousands of SharePoint fans across the globe. Microsoft renewed its commitment to SharePoint and the SharePoint brand by announcing the renaming of the sites tile in Office 365 to SharePoint and the release of a new SharePoint mobile app. 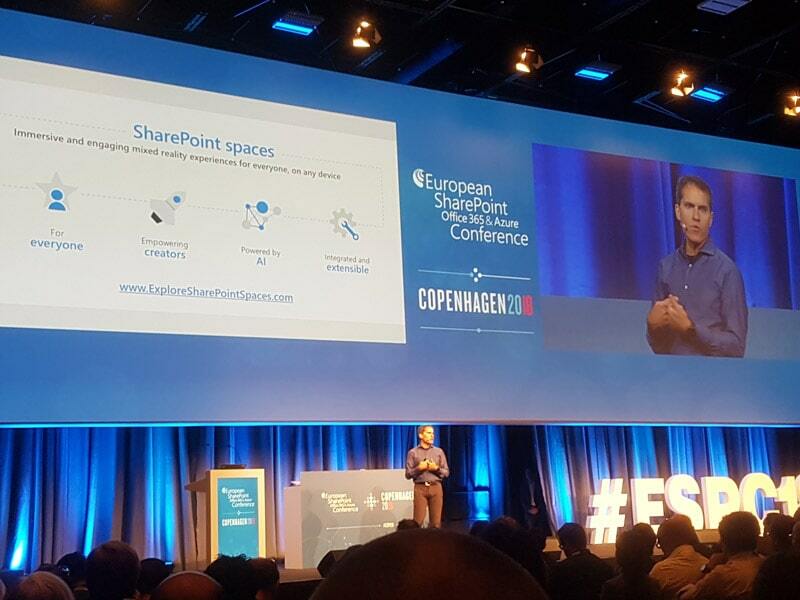 It was a very exciting glimpse into the future of SharePoint (both on-premises and online). A completely new revamped UI for team and publishing sites and a slick editing experience. One of the flaws with the current SharePoint experience is the inheritance of older SharePoint site templates and libraries which has only incrementally improved over time. Frustratingly this has left users with a poor mobile experience and a clunky, more complex editing process. Even the current SharePoint 2013 mobile site looks more like an ancient WAP site designed for a Nokia 7110. Below is a sneak peak as to what the new team site may look like. 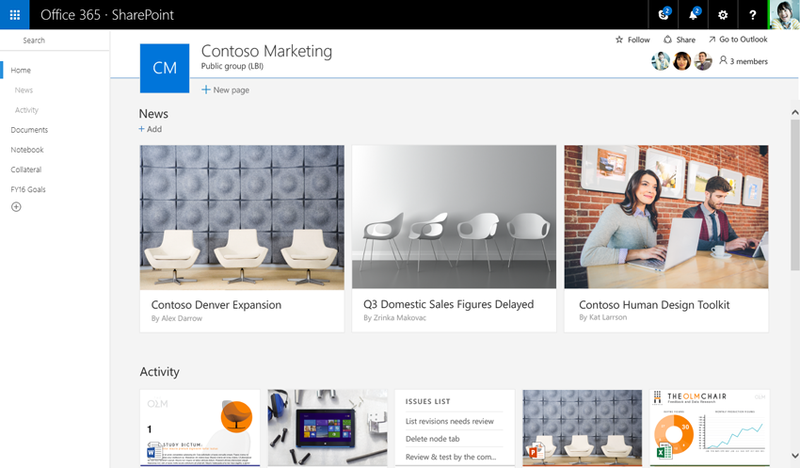 Above is a preview of the new SharePoint app. This has already rolled out to some tenancies. It gives a fresh look to document libraries which puts them in-line with the OneDrive experience and the SharePoint mobile view. The classic view will still be supported if you are using JS client side rendering, workflows or specific custom views. One downside to the new experience is the loss of any branding, however you could add document libraries to pages if you wanted to keep this. Users can pin files to the top of the page and get really nice previews of documents. Administrators can override end users to choose either the classic or new view of document libraries (see details here). Microsoft Flow is a new tool in the SharePoint toolbox. It’s a new way to get data into SharePoint and perform workflows using custom logic. It doesn’t replace InfoPath or SharePoint Designer but I can see many uses for it in a business process environment and sales. It extends workflow functionality out of SharePoint using templates or custom written apps. For examples you can have a flow which picks up tweets from Twitter and puts them into a SharePoint list. Very interesting to see how this product develops with SharePoint. You can find out more on the flow website. Create your own mobile apps in a few simple steps from lists and libraries in SharePoint without having to write any code. This could be a mobile app or just a web app. In fact you can do this from the browser from any list in a few simple steps. This could be a SharePoint list view or a web part. The PowerApps will be available from within the SharePoint app. I’m assuming you will be able to pin these apps to your start screen like you can with OneNote notebooks and pages. You can find out more about Power Apps on the website. Another new feature in Office 365 video is the usage statistics. There are two graphs currently available for the last 14 days or 36 months showing the views, visitors and viewer engagement. Check out my video review of the new features below. 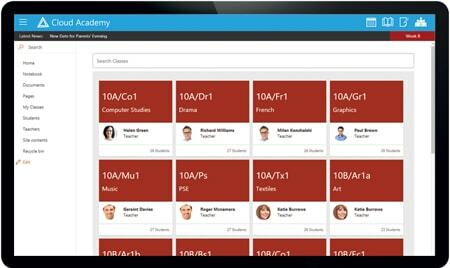 This entry was posted in Education News, Office 365, Office 365 Video, SharePoint 2013, SharePoint in Education, SharePoint News, SharePoint Online, Tony Phillips, Uncategorized and tagged Cloud Design Box, Derby, Derbyshire, Education, Hull, Nottingham, Office 365, Office 365 in Education, Office 365 video, Office 365 video statistics, Office Online, Office365, SharePoint, SharePoint in Education, SharePoint Tony, Tony is here, Tony Phillips, tony phillips derby, Tony Phillips Hull, Tony Phillips SharePoint, Video, Video Statistics on March 30, 2016 by Tony Phillips. In the Visual Upgrade options, select “ Update the user interface” to change the top level from a preview into the updated Master Page. I think you could probably do this at a top level site by going to https://webappurl/_layouts/prjsetng.aspx and selecting upgrade interface and then the buttons would be ungrayed. Best practice to do a visual upgrade in powershell and loop through all the sites in a site collection. This entry was posted in Uncategorized and tagged grayed out, Greyed out, MasterPages, SharePoint 2010, Tony Phillips, Visual Upgrade on April 19, 2011 by Tony Phillips.